TNRF seeks to support its members by improving communication, sharing information, promoting collaboration and strengthening collective action. TNRF has a growing membership of more than 3,800 people and organizations, supporting professional staff, and a steering committee drawn from the membership. TNRF facilitates member-driven ‘Working Groups’ on key policy and practice issues that are of direct interest to members. These working groups are very collaborative and provide an opportunity for TNRF’s diverse membership to tackle concerns at a range of different levels. There are currently working groups engaged in TNRF’s three main thematic areas of forestry, wildlife and rangelands. TNRF communications works at a cross cutting level, producing for example a web-site, weekly e-news, policy briefs in collaboration with partners and participatory film or radio targeted at advocacy. TNRF also successfully engages with other stakeholders in establishing round tables for CSOs, donors, international NGOs and government to discuss emerging issues related to the environment. TNRF is implementing the project name “Engaging Civil Society Organizations (CSOs) and the private sector in developing advocacy agendas” to build on the successes of the first phase to influence improved wildlife conservation and tourism sector. Through this project, TNRF will strengthen advocacy approaches and supporting the piloting of the implementation of the new wildlife policies and regulations by engaging CSOs, local community institutions, private sector and the government. 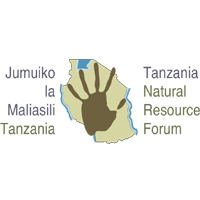 In view of this, TNRF seeks to recruit a Project Coordinator with thorough understanding of Wildlife Sector in Tanzania to coordinate implementation of the project. The successful candidate will be responsible for management and coordination of all project activities. To coordinate and provide technical oversight in piloting implementation of the wildlife corridors, dispersal areas, buffer zones, and migratory routes regulations to ensure that the piloting of the corridor regulations is in compliance with the Land Use Planning Act of 2007, Village Land Act Number 5/1999, Wildlife Act of 2009 and Wildlife Corridors regulation of 2018. ▪ National natural resource management priorities, policies, laws and programs TNRF seeks to support its members by improving communication, sharing information, promoting collaboration and strengthening collective action. TNRF is implementing the project name “Engaging Civil Society Organizations (CSOs) and the private sector in developing advocacy agendas” to build on the successes of the first phase to influence improved wildlife conservation and tourism sector. Through this project, TNRF will strengthen advocacy approaches and supporting the piloting of the implementation of the new wildlife policies and regulations by engaging CSOs, local community institutions, private sector and the government. 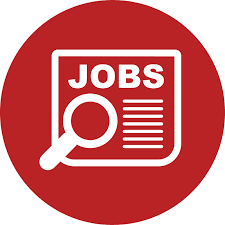 In view of this, TNRF seeks to recruit a Project Officer -Land use Planning to provide technical oversight and coordinate piloting of wildlife Corridors regulation in one cluster in Northern Tanzania. The successful candidate will be responsible for coordinating and provide technical oversight on the day to day activities of piloting wildlife corridors regulations in one of Wildlife Corridors in Northern. • To support MNRT on awareness creation on the intention to designate wildlife corridor. ix. Policy brief on the lessons learned in the processes of establishment of the wildlife corridor and suggested revisions (if any) for the Wildlife corridors regulations The Project Officer -Land use Planning will work closely with the implementing team; Project Coordinator, Communication and advocacy Coordinator, and Monitoring and Learning Officer. • Advanced University degree in Land use Planning, Town and Regional planning, Natural Resource Conservation and Natural Resource Assessment and Management or related fields. • Solid background and experience (at least 7 years) in Land use Planning, natural resource management issues, with sound knowledge of Land laws and Land use planning Guidelines and policies in Tanzania, and across the region. • Excellent facilitation and networking skills, with strong working relationship with National Land use Planning Commission (NLUPC), Tanzania Wildlife Authority (TAWA), Tanzania Wildlife Research Institute (TAWIRI), Ministry of Natural Resources and Tourism (MNRT)- Wildlife Division. • Practical experience of working with private sectors, CSOs, local and central government and development partners in supporting the process of village land use planning and joint village land use planning in Tanzania. • Strong reporting and communication skills with evidence of related publications/writings. • Proven track record in successfully developing and managing projects in the field of land use planning, natural resources management, international development, or other related fields. • Excellent interpersonal skills, with the ability to network and to develop and maintain strong relationships at all levels with local communities, government agencies, the business community, the not-for-profit sector and the TNRF network. This is a project funded position for which a full and attractive package commensurate with the nature of the position will be offered per 1 annual basis, renewable on the basis of performance and availability of funds.